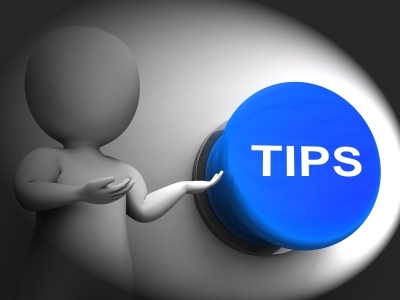 Here we have your final instalment of SEO tips from Webetecture for 2015. This month we have chosen to focus on HTTP status codes. Information – request received and is being processed. The request has been received and processed successfully. Redirection is set up and will be followed by the client. Client-side error – server is fine, but the request was not valid. Server-side error – the server has failed to complete your request. Recap from September 2015 issue: When you move content, do not forget to set up a 301 Permanent redirect. You need search engines to move the reputation with the content. Use a 302 Temporary redirect to signal that the redirection specified is only a temporary move. Note that while the redirection will take place, but the credit the old page has earned will not be transferred to the new one! People tend to get the usage of 301 and 302 confused, and so search engines have learned to decide for themselves whether the move is to be seen as permanent or not! It is exceptionally rare that you will need to use a 302… ask yourself: how many times have you moved a web page, only to move it back? Probably never. If you are removing pages, use a 410 Gone status code. This will signal to search engines that the fact the page is missing is intention and instruct them to remove the page from their listings. 404 status codes are returned when a page isn’t found. You can set up a custom page to make this a more friendly appearance, and with some clever PHP you could set it up to report these errors to you, so you can fix them! If you have a 500 Server Error status code returned, you need to diagnose and sort it! This will have a profoundly negative affect on your rankings. Common causes of 500 Server Errors are file and folder permissions incorrectly set, PHP timeouts, and errors in your .htaccess file. Down for maintenance? Use a 503 HTTP status code. This signals to search engines that the website is down intentionally, and it is temporary.